Spring is knocking on our door. One of the most beautiful seasons is here, and we cannot hide our excitement! Spring is the season when everything blooms. So many flowers, so many plants, so many trees are blooming. There’s a saying that everything wakes up in the spring, and I have to agree. Whether you’re walking through the streets or hiking in the mountains, you can’t help but notice all the flowers around you. But I want to help you welcome spring into your home as well. The first synonym for spring is flowers. 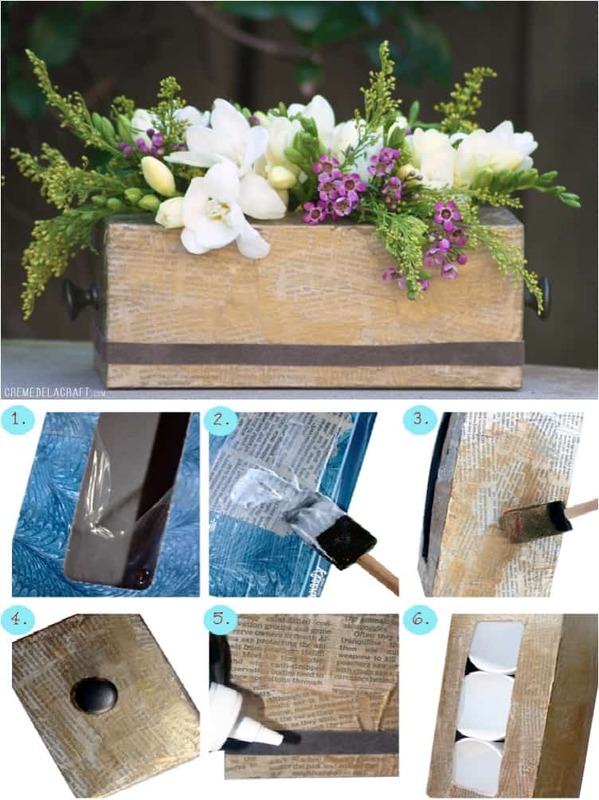 I know you can always buy a floral arrangement, but I want to help you create one on your own. Believe me, you will appreciate it much more. Here we go. We start with something simple and easy. I’m sure all of you have a mason jar or a glass jar at home. When I was little, my parents kept a bunch of jars in the basement, and every now and then, they found a use for them. 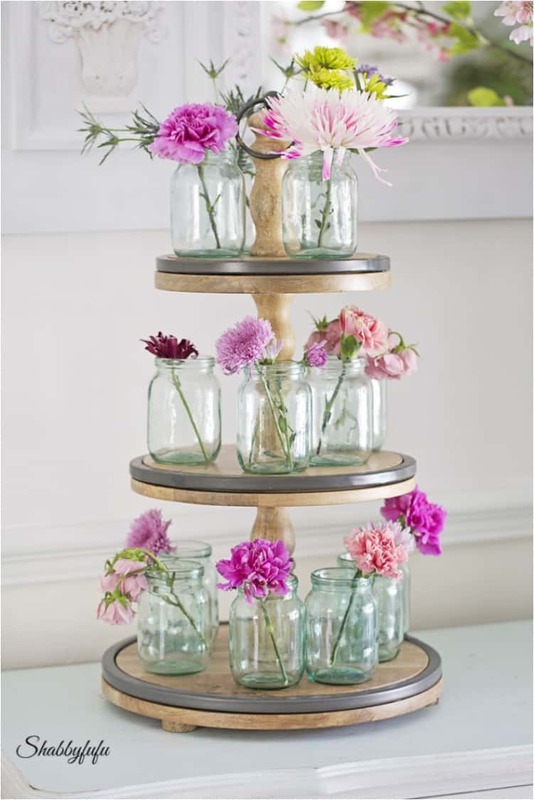 Creating a floral arrangement from mason jars is arguably one of the simplest DIY projects. And we start with that. Look at the good news. You can eat some of the fruit, and then use the remainder for a floral arrangement. You basically get a two-in-one solution. Pineapple is the fruit that comes first to mind for this floral arrangement. But you can use others as well, as long as they are big enough to serve as a base for flowers. Coconut comes to mind tool. 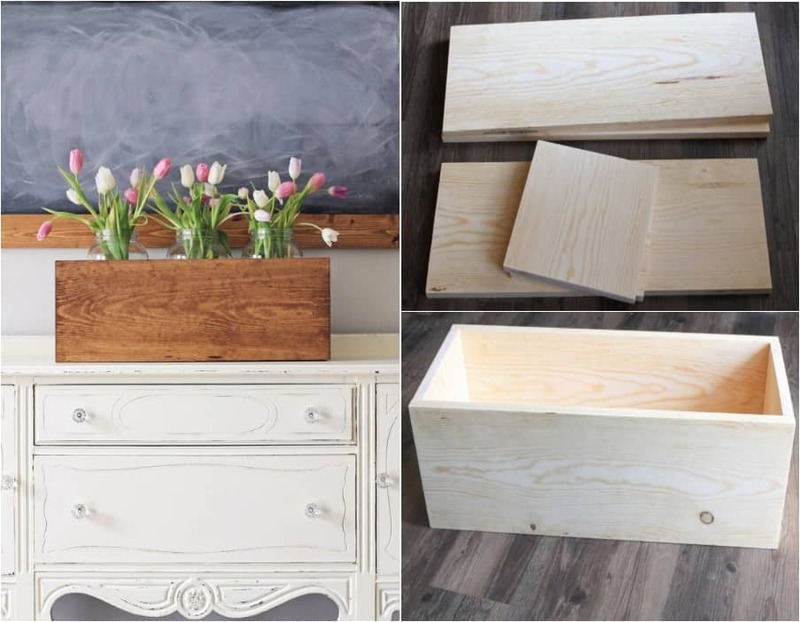 We had two simple arrangements, and now it’s time to get into the more complex DIY projects. We need some handiwork here. But the biggest challenge might be getting all those tubes. 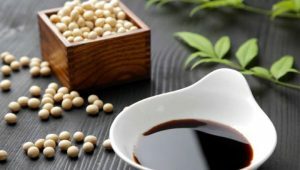 You can source them from the pharmacy. And yes, you can use other flowers, but tulips are best here because they are simple, yet elegant. 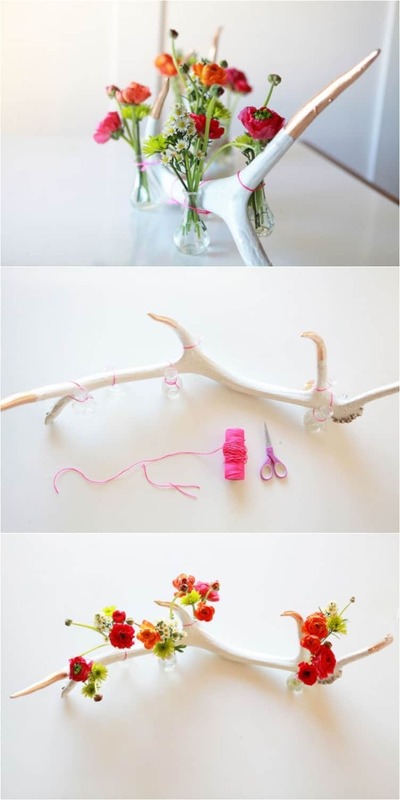 When you think of floral arrangements, you probably think of something you can place on your table. Well, sometimes a floral arrangement can be used for your chandelier as well. 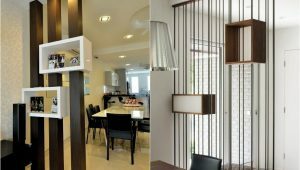 Hanging flowers are very popular idea for apartments. But for this project, we don’t need hanging flowers—we can use almost any flower. Just make sure to make it as colorful and vibrant as possible. As you can see, tulips are a very popular, versatile choice. 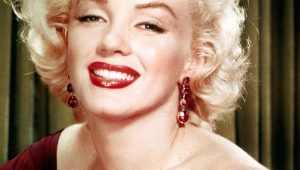 You can use them in different ways; it just depends on the idea you have, and the color. Yellow, for example, is one of the most vibrant colors. 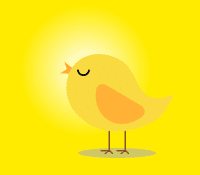 Yellow reminds us of the sun, and it brings so much positive energy into the home. Now this is an arrangement right from the flower shop. I’ve had a few friends who are actually better florists than the people working at flower shops. 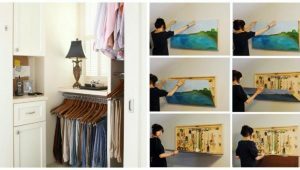 All it takes is a bit of creativity and some simple ideas. Even the simplest idea can be worked into something beautiful. 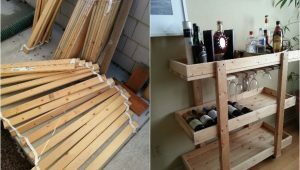 Who doesn’t have a basket at home that you can use? Any normal vase will do the trick as well. However, the gold wrapping gives the arrangement a bit of a luxurious touch. Gold is always a good idea (assuming you like gold). I know some people who don’t like it, but you can’t deny the fact that it brings so much elegance to the interior. The biggest challenge here is finding the log, as it’s not something you can buy at a store or just go out and find. But if you happen to have a log you’re not using, now is a good time to get creative. 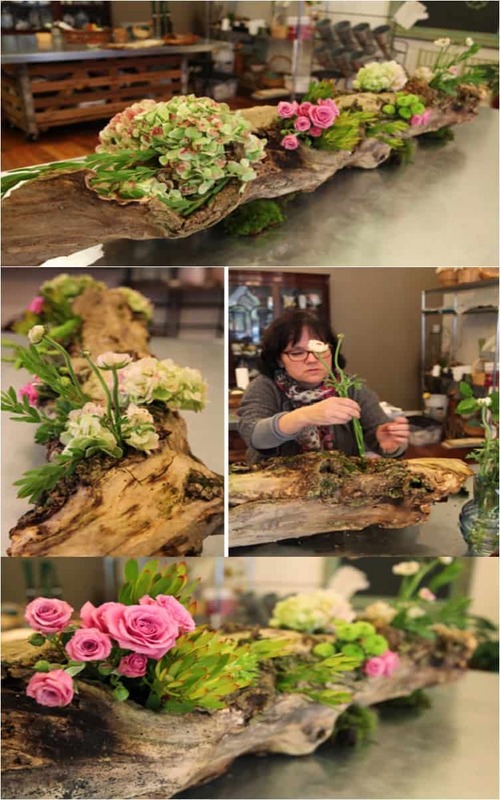 The nature of the log fits so perfectly with floral arrangements. I talked previously about how you should visit the pharmacy for some tubes. But there are other ingredients you can source from there and use for your floral arrangement. These jars are a bit more elegant and sophisticated than mason jars. Another item that most of us have at home. Even if you don’t have a tissue box, just buy some tissues. You will definitely need the tissues for your daily tasks. 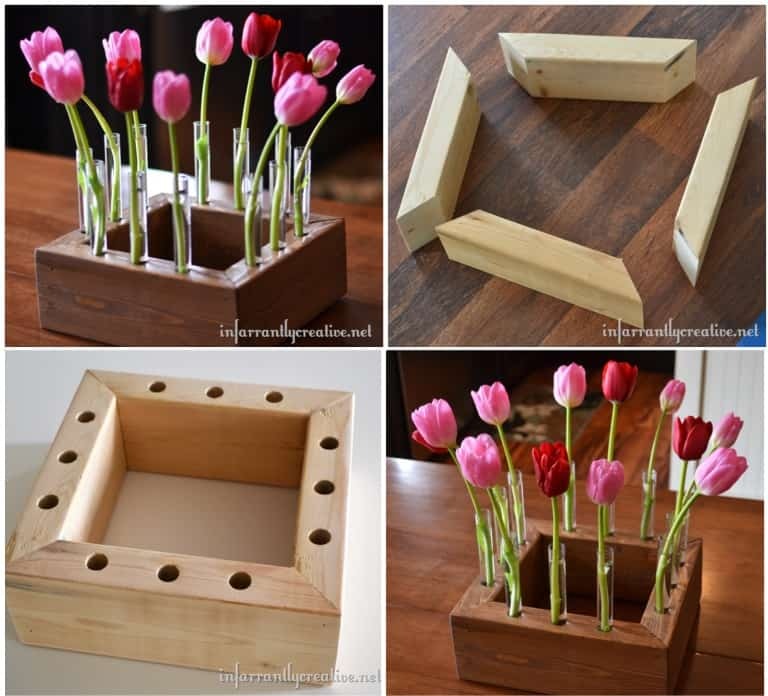 And then you can reuse the box for something beautiful and cheerful—like flowers, for example. Now isn’t that great? We can’t forget the rustic decoration piece. After all, we’re living in a period when the rustic style is making a big comeback. And I must say, I love it—I’ve always loved wooden furniture. And the workmanship on rustic pieces is so very impressive! We had a combination of flowers and fruit at the beginning. And I said then that fruit provides your arrangement with a sense of freshness. 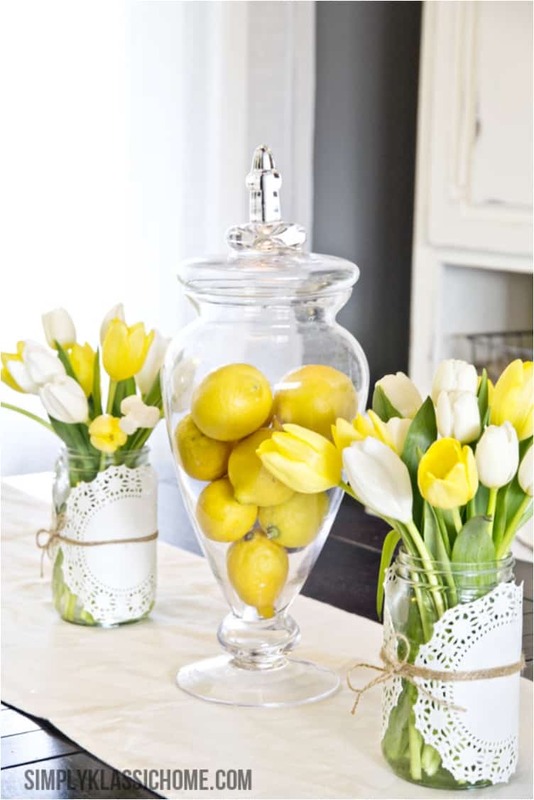 Now, lemons can’t serve as the base for a flower arrangement, but they can be a nice accessory to your basket piece. Especially since they are sunny yellow, and you know how I feel about that color! 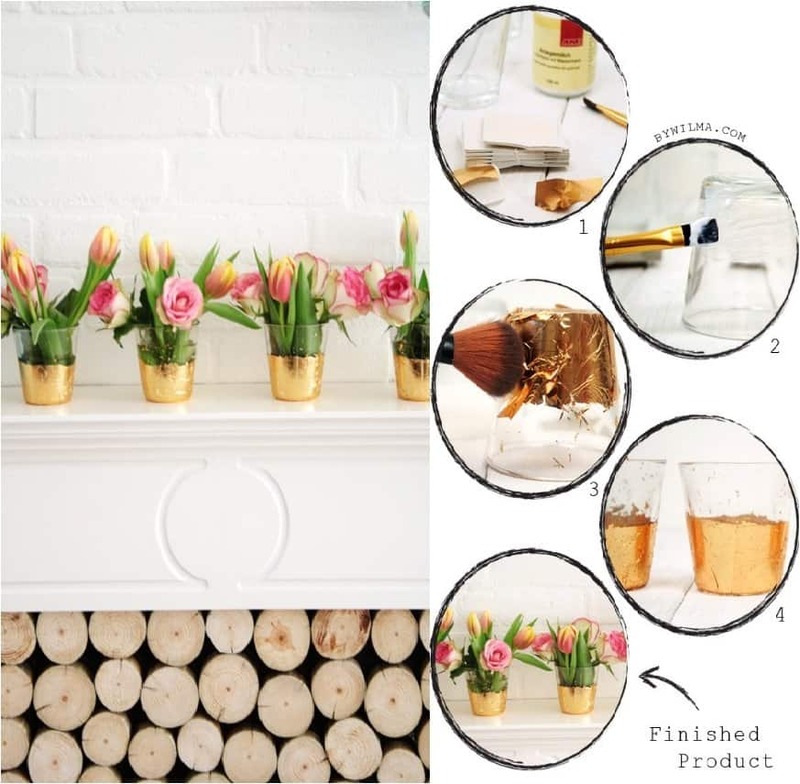 We started this list with a glass jar arrangement. And now, we continue with that theme and take it to the next level. How? It’s simple. Just paint the mason jars in a color of your choosing. 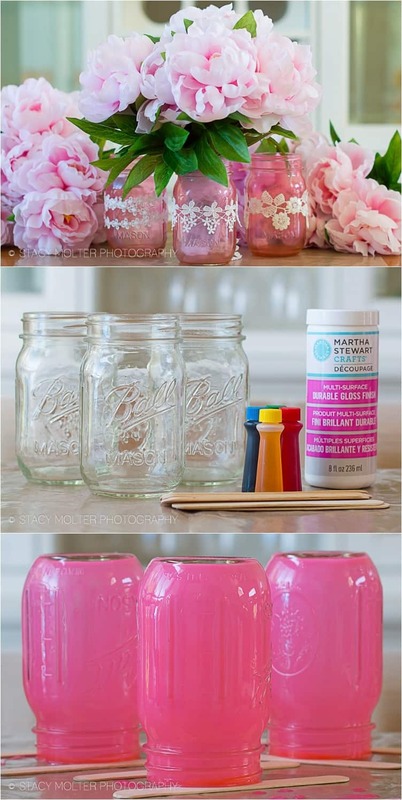 Mason jars are great as transparent flower vases, but when you paint them, they look even more beautiful. Of course, this depends on whether you need more colors in your interior or not. If you go to the florist and ask for a spring arrangement, this is probably what you will get. Especially if you say that you need one to serve as a centerpiece. So why not make one yourself instead? As you can see in the step-by-step guide, it’s not hard at all. Everyone can make it. I told you that I’m a big fan of wood. 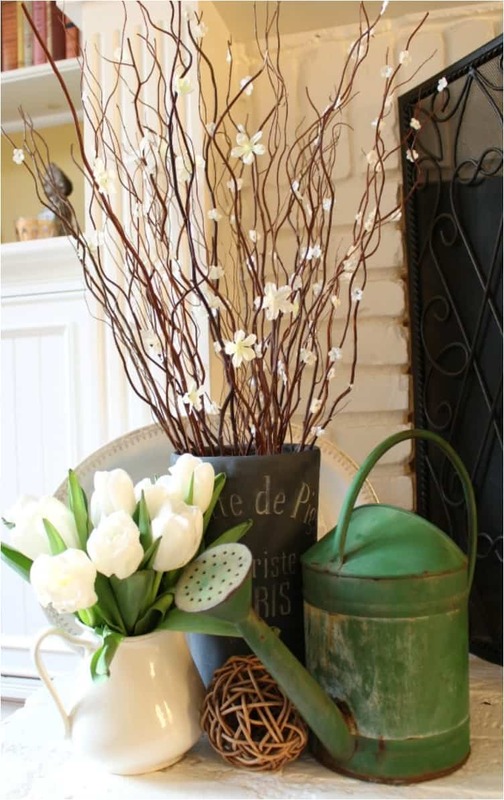 I’m also a big fan of simplicity and minimalism, and this floral arrangement is in that spirit. 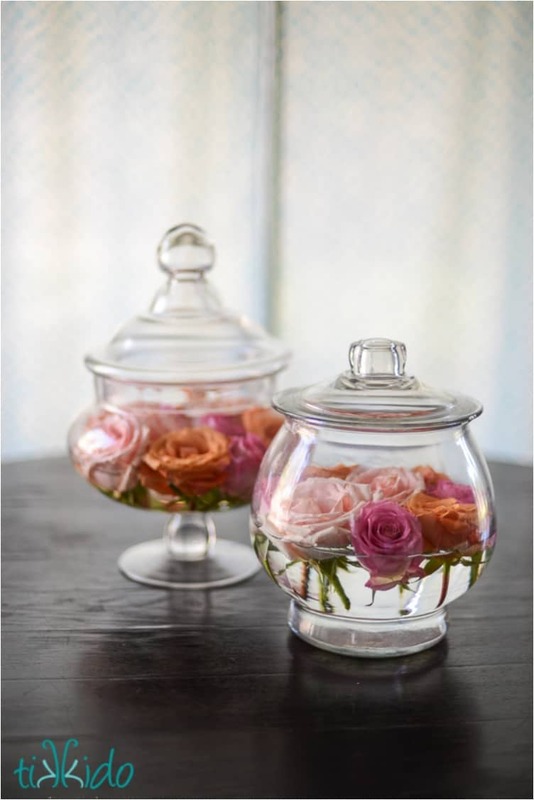 Just add some flowers to glass jars, and then put the jars in a wooden box. Simple enough, yes? What can be better than a floral arrangement? Well, many people will say two arrangements. And in that spirit, I present you a simple stand where you can put flowers on several tiers. The more tiers, the better. I told you that I’m a huge fan of minimalism. Sometimes, all you need is just a few flowers and nothing more. This is definitely an arrangement I could see hanging in my home. 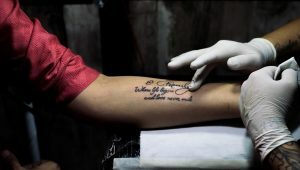 I hope you like it as well, but if not, there are plenty of other choices. The trick here is that lemon nourishes and keeps your flowers fresh. Lemon water is rich in minerals and vitamins good for our health. But that’s also a nice environment for flowers as well, and your flowers will last much longer. Let’s talk elegant and formal dinners for a moment, shall we? When you are hosting a group of friends, you want to impress them in every way you can. Usually, you do that with your cooking skills. But why not take things to the next level? 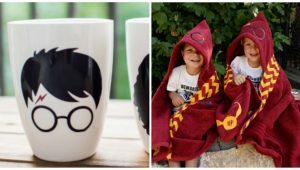 Why not impress your friends with your decorative and creative skills as well? This arrangement will take you no more than 10 minutes to make. This arrangement is very similar to the one we had at the beginning, with empty tubes serving as a base for flowers. As you can see, there are many different options you can use for the base of your arrangement. It comes down to what you prefer and what looks better in your home. Another arrangement that looks like you got it from the store. I don’t really care for “faux arrangements.” I like the real deal much more. But every now and then, a faux arrangement can look just as beautiful, and this is one of those situations. We finish off with something in the spirit of nature. Birds and flowers might not go hand in hand, but they are both part of the beautiful nature we all love. 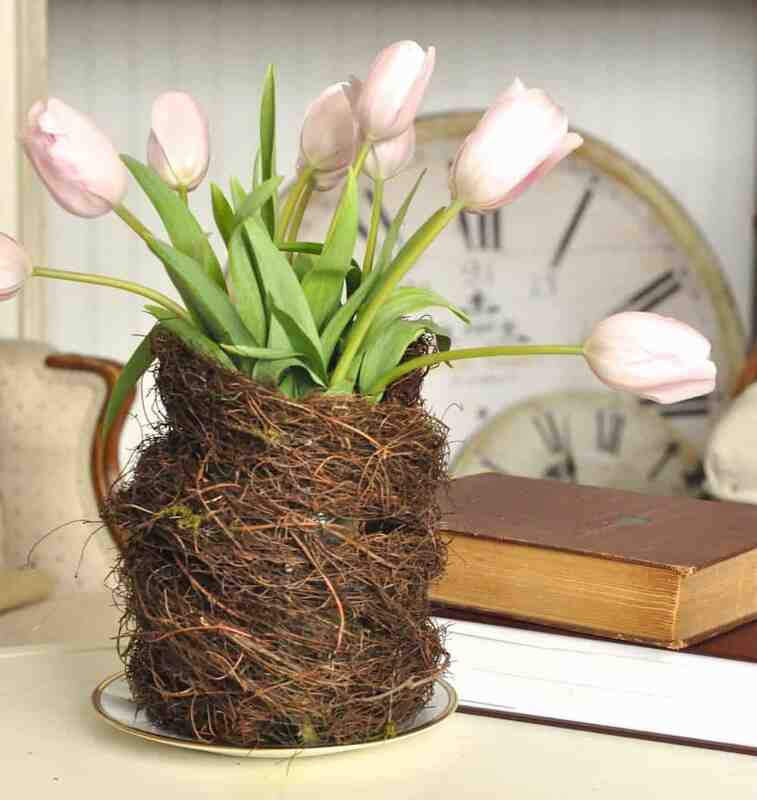 So, in that spirit, I want to share an idea for making an arrangement inside a bird’s nest. 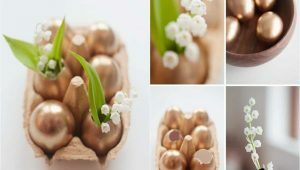 I do hope you enjoyed this flower-inspired article. 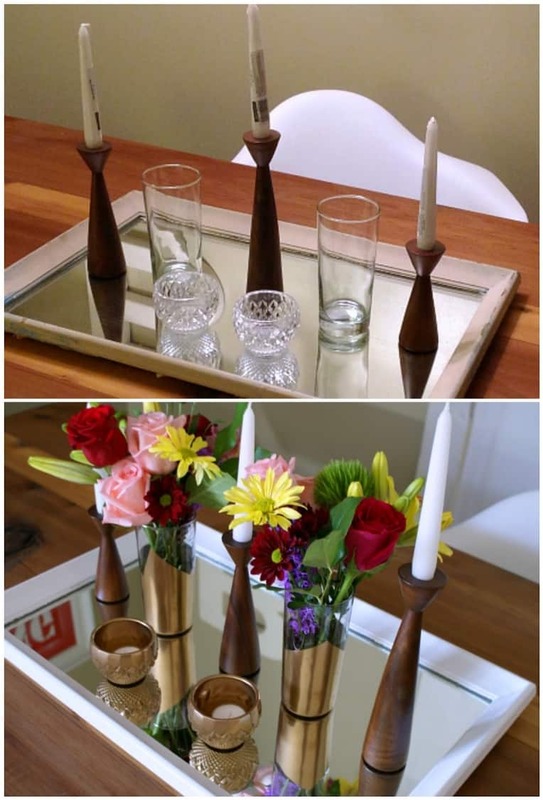 If you have some other ideas for arranging flowers, feel free to share with the rest of us.